What’s Better Than Homemade Meatballs??…. 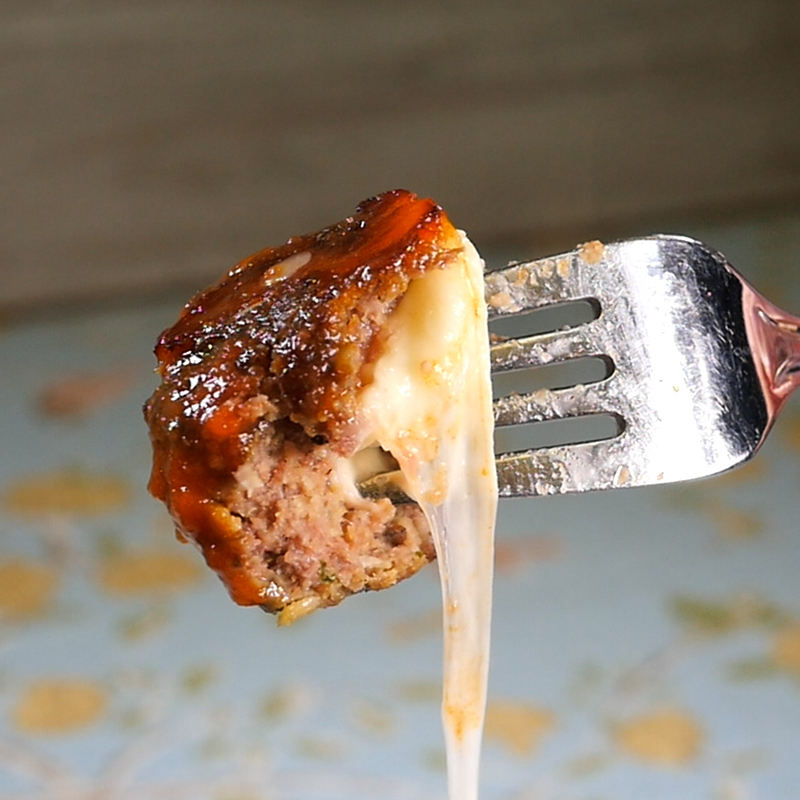 Slow-Cooked, Mozzarella-Stuffed Meatballs! Ok, this recipe is a no-brainer. 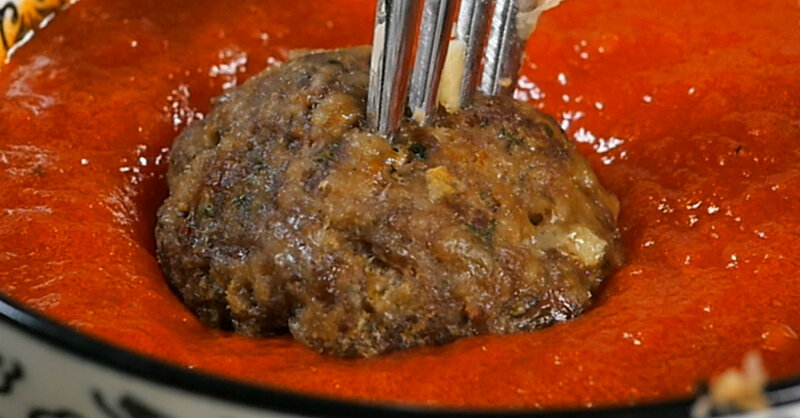 Meatballs are always phenomenal, but meatballs that are stuffed with cheese?? GAME. CHANGER. Not only are they super delicious and amazing, what with all the gooey cheese pouring out of them, but these meatballs are also insanely simple to make. Combine all your ingredients (minus the cheese) in a large bowl, lovingly wrap the meat around the cubed cheese, then throw everything in the slow cooker and walk away. That’s it! Perfect as an appetizer or as a decadent pasta dish, you can never, ever go wrong with these bad boys! In a large bowl, combine ground beef with breadcrumbs, egg and egg yolk, Italian seasoning, onion powder, garlic, salt and pepper. Use your hands to mix everything together until combined. 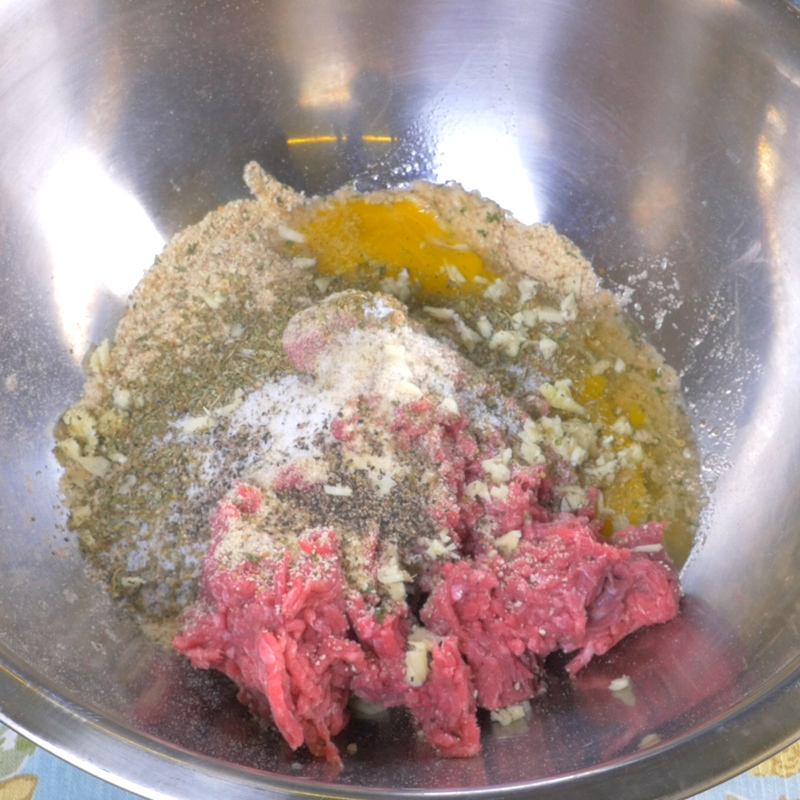 Take a small handful of meat (2-3 tablespoons) and roll it into a ball. Flatten the ball and place 1 cube mozzarella cheese in the center. 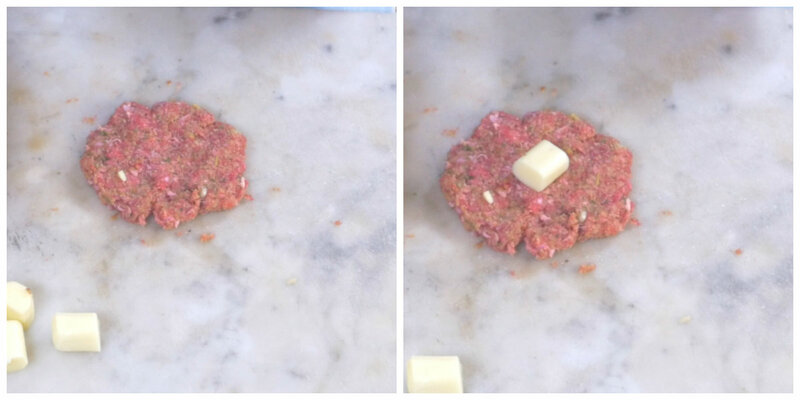 Form meat into a round ball around the cheese, then repeat with remaining meat and cheese cubes. 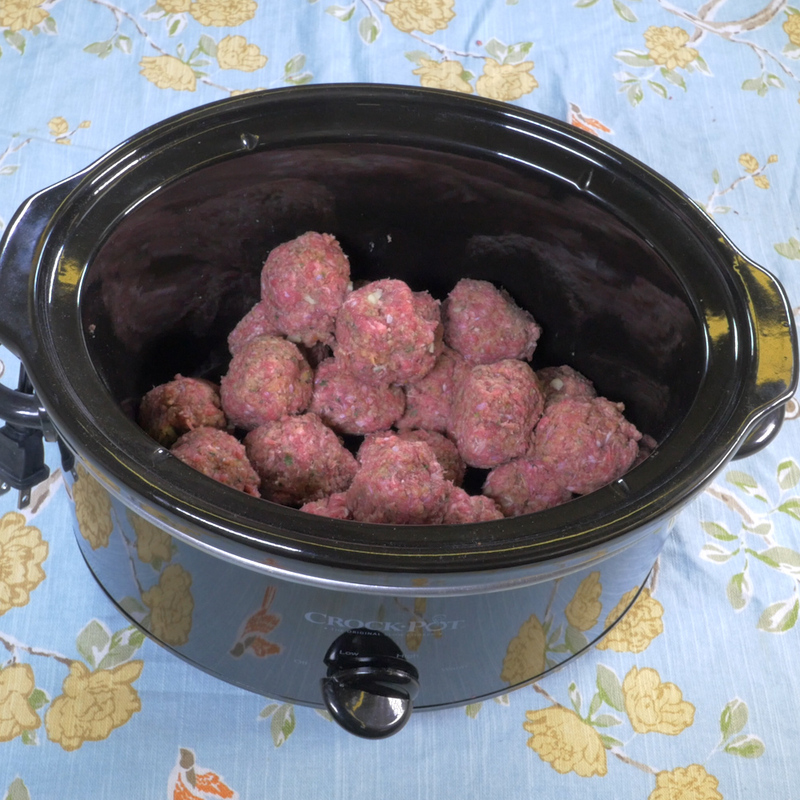 Place all cheese-stuffed meatballs in the slow cooker, then cover and cook on HIGH for 2 hours (or on LOW for 3-4), or until meatballs are cooked all the way through, but still tender and juicy. Remove from slow cooker and serve hot with marinara sauce.